Smart locks were once an item only in commercial properties with high security structures. However, technological advancements have now allowed for the integration of smart lock systems into residential buildings. In fact, smart locks do a lot more than allow you lock and unlock your door without a traditional key. In addition to the automation and convenience they provide, they also let you track entry and exit logs at your abode in real time. Smartphones and tablets are commonly used these days, and in just a little time they may totally replace the traditional set of keys. Select models are now enabled with Wi-Fi and Bluetooth options. Bluetooth is a common smart lock protocol because it does not drain battery as quickly as Wi-Fi does. However, its downside is that you have a limited range of access – around 300ft in the best case scenario, and it could be even less depending on the layout of your apartment. On the other hand, Wi-Fi allows you send signals through from far away distances, so long as there is an internet connection. This security protocol is a popular feature in communal buildings and for remote access of car doors. Their level of popularity has grown so much that most modern car owners only make use of this method for the locking and unlocking of doors. Luckily, this feature is now available for smart homes too, allowing for automatic opening of the door with just a touch or tap. Biometric scanners are commonly used in areas with high levels of security. One or more unique biological traits are used to gain access through the lock system. In the past, Iris scanners hve been used in high security areas. However, fingerprint scanners are now a more cost effective option – and they are now available in smart homes today. Applying this security method to your home will ensure you never lose your keys, as access would be at your fingertips. 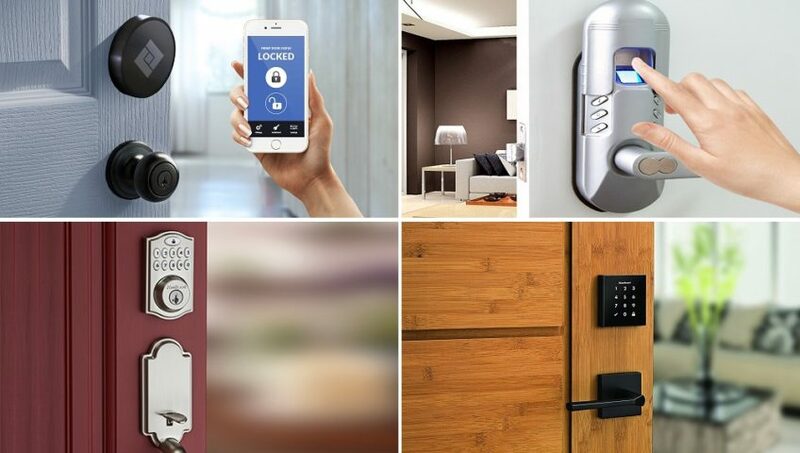 Since not all smart locks function similarly, it would be ideal to define what you need so you can determine the best lock for your smart home. Whatever the case, our locksmiths at Tucson Locksmith 24 are just a phone call away. We are experts in handling and installation of smart lock systems – and you can count on us to provide the best fit for your home security and décor.